This week’s theme includes Halloween items, kitchen accessories, home and storage products, and health and exercise gear. 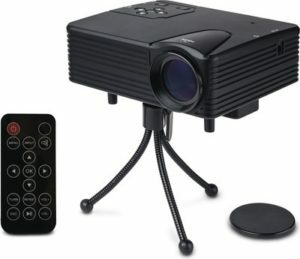 Huntington Home Mini Halloween Projector, $39.99. Seven Halloween and five Christmas videos are included with this projector. In addition to the projector, it includes a screen, tripod, and remote. It is for indoor use only and appears to cast an image onto a window. Huntington Home 4′ Lighted Reaper Figure, $9.99. A Skeleton, Pumpkin, or Clown also are available. Huntington Home Halloween/Harvest Fabric Tabletop Figure, $4.99. Assorted designs. Huntington Home 14-Piece Tombstone Set, $12.99. Crofton Pumpkin Carving and Stencil Kit, $3.49. Assorted varieties. Kids’ Halloween Bag, $0.99. Assorted characters. Great for trick-or-treating. Measures 14.6″ x 11.6″ x 3.6″. Bendon Halloween Activity Pack, $4.99. Ten licensed Mini Play Packs. Each pack includes 8-page coloring book, 2 mini crayons, and 1 sticker. Character choices include My Little Pony. Grafix Halloween Glow, $2.99. Assorted varieties. Glows for up to 24 hours. Hasbro Halloween Play-Doh, $4.99. Fifteen mini cans in one bag. Crofton Faux Wood Nonstick Pan, $16.99. Choices include 11″ Round Fry Pan, 11.4″ x 11.4″ Square Grill Pan, or 4.5-Quart Casserole with faux wood handles. Crofton Splatter Guard, $7.99. 12.4″ diameter. Assorted colors available. Crofton 11″ Ceramic Fry Pan, $16.99. Crofton 14-Piece Latching Food Storage Set, $7.99. Ambiano 12″ Copper Titanium Electric Skillet, $19.99. Crofton Cast Aluminum High-Back Griddle, $19.99. Griddle spans two burners for twice the cooking surface. High edges contain splatter and keep your stovetop clean. Ambiano 4-Quart Slow Cooker, $14.99. Huntington Home Oven Mitt or 2-Pack Pot Holders, $4.99. Crofton 6″ Ceramic Knife, $8.99. Assorted varieties. Also available: Crofton Antibacterial Cutting Boards for $4.99. Huntington Home 20″ x 39″ Comfort Kitchen Mat, $9.99. Huntington Home Microfiber Drying Mat or 3-Pack Towels, $1.99. Easy Home Garment Rack with Shelf, $14.99. Adjustable height and width to accommodate storage space needs. Measures 37″–53″ x 17.32″ x 43.8″–72″. Easy Home 30-Pack Velvet Touch Hangers, $6.99. Black or Gray. Easy Home Over the Door Hooks, $6.99. Easy Home Storage Trunk, $14.99. 21-gallon capacity (80 L). Measures 26.6″ x 18.5″ x 19.8″. Easy Home 2-Tier Boot and Shoe Rack, $9.99. Measures 28.5″ x 15″ x 14.3″. Easy Home 4-Tier Accessory Shelf, $9.99. White or Gray. Measures 23.7″ x 11.6″ x 23.8″. Easy Home Motion-Sensing LED Light, $12.99. No wiring needed. Installs in minutes. Easy Home 4- or 5-Pack Vacuum Bag Set, $7.99. 4-pack: 2 Large, 1 XL, 1 Jumbo. 5-pack: 2 Medium, 3 Large. Easy Home Rolling Laundry Hamper, $9.99. 6″ Red Aglaonema house plant, $7.99. Read about our experiences with some of Aldi’s house plants here. Crane Body Fat Scale, $14.99. Measures weight, body fat percentage, BMI, and more. Crane Compression Socks, $4.99. Fits Men’s Shoe Sizes 7–14 or Women’s Shoe Sizes 9–15. Assorted colors. Crane Ladies’ Memory Foam Walking Shoes, $11.99. Sizes 7–10 in assorted colors. Also available: Sport Socks for $3.99. Crane Drawstring Sack Pack, $9.99. Assorted varieties. Crane Strength Training Assortment, $4.99. Choose from Ab Wheel, Ankle/ Wrist Weights, Hand Grips, or Therapeutic Hand Grip Kit. Crane Ladies’ Yoga Pants, $12.99. Sizes S–XXL. Crane Premium Yoga Mat, $7.99. Crane Men’s Athletic Pants, $12.99. Sizes S–XL. Crane Pedal Exerciser, $29.99. This features a computer with eight functions, including speed, calories burned, distance, and more. Read our review of the pedal exerciser here. Crane Twist Board, $14.99. Includes workout chart and DVD. Crane Adjustable Step Deck, $14.99. Adjusts to 4″ or 6″ high. Includes exercise chart. Crane 24 oz. Hydration Bottle, $7.99. Mediterranean Sea Bass, $12.99 per lb. Ambiano, Bendon, Crane, Crofton, Easy Home, Grafix, Hasbro, Huntington Home, Simply Nature. Bookmark.